Is govt-run S'pore football promoting social exclusion? A small population is also no hindrance to social advancement. Nine of the world’s 15 most socially progressive countries have populations under 10 million, with six populated by fewer than 6.9 million people. While our government should avoid building a socially-regressive global city, it should also adapt the SPI to determine if the government is unwittingly allowing our de facto national sport to promote social exclusion and build a regressive footballing nation. Are the building blocks in place for individuals and communities to enhance and sustain well-being? A. Does the S-League provide for players’ basic needs? The ages of 27 and 28 are normally a footballer’s prime years. But don’t say that to former Geylang International defender Duncan Elias. Goal.com recently reported that the 28-year-old’s professional career was prematurely terminated last year by, ironically, an unprofessional practice common in the S-League. The report says that because most players are on a one-year contract, there will always be a scramble one or two months before the season ends, to find out where they will end up the following season or whether they will become unemployed. Without being formally informed of his contract non-renewal, Duncan was simply told: “Good luck finding a club next year”, Goal.com reported. Shukor Zailan, who has played twice for the national team, also failed to remain an S-League player. Some clubs even offer 11-month contracts, just to avoid paying another month’s salary. No football is played in December. Duncan told Goal.com his first S-League contract was worth $800 monthly. Eventually, his salary rose to $1,500 a month, before reaching a career high of less than $2,500 monthly. Players who earn insufficient money often moonlight, thus hindering their professional football development. Let’s ask this question: Does Singapore football look like it offers a viable career which players can rely on to support their families? B. Are the building blocks in place for the S-League or national teams to enhance the popularity and quality of Singapore football? The S-League hit rock bottom in 2012, with the average match attendance sinking to 932. But don’t bother sounding the alarm, even though the Football Association of Singapore (FAS) president, Zainudin Nordin, is a ruling party politician and, therefore, should be in a position to introduce drastic measures to seek improvement. Over the past few years I have publicly raised various concerns, only to be met with FAS’ defensiveness. So I suggested a national conversation that would include potential sponsors, to discuss how best to revive our national sport. But the FAS response was absolute silence. Late last year when Zainudin appeared on a MediaCorp Radio sports talk show where listeners phone in with questions for the guest, the show’s format was turned on its head. Zainudin did not field any questions from the public, wastefully throwing away a great opportunity to engage supporters. Fans may find such non-engagement distasteful. If the general public is rarely or not at all engaged in FAS events, including national team matches which are few and far between, how can Singapore football attract sponsors or improve? If those who attend S-League matches are primarily punters, players’ family members, FAS/S-League employees, low-income earners who cannot afford pay-TV and an insignificant number of die-hard supporters, this could be seen as a form of social exclusion. 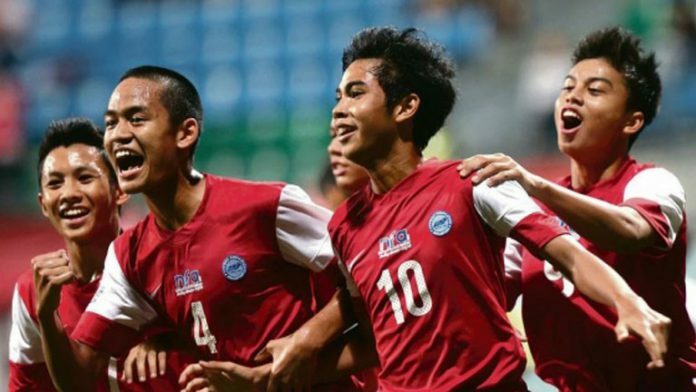 C. Is there an opportunity for every Singaporean to reach his full footballing potential? Another form of social exclusion exists. The S-League’s below-par salaries discriminate against university and polytechnic graduates. It is unreasonable to expect them to sacrifice their prime years for a relatively short career that compensates so poorly. Is there any wonder why the vast majority of players are neither graduates nor diploma holders? Other than calling for more non-Malay players, something which anyone can do, I have yet to hear Zainudin utter a word on any concrete plan to seek what he has called for. Maybe Zainudin’s ‘no action, talk only’ approach serves some non-football purpose, but how does it benefit Singaporeans’ favourite sport? The FAS Financial Report (for the year ended 31 March 2013) reveals that the football body received over $26 million in taxpayers’ funding, sponsorship, subsidies, and donations from Singapore Pools. $26 million may not be a lot, but neither is it a small sum. I’m confident Singapore football can achieve excellence with $26 million, but it depends on how the FAS spends the money. If subsidising nine local S-League clubs is too much to bear, cut the number of teams. With limited resources, the FAS should rebuild gradually by focusing on one thing at a time, even if it means sacrificing other important areas. The FAS and S-League clubs cannot be hiring expensive foreign coaches and sending teams on costly overseas trips, while complaining about a shortage of funds at the same time. If providing decent salaries and contracts for all players is a top priority, then FAS policies must reflect that. 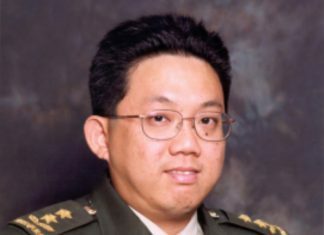 If the FAS continues with primarily what it has been doing the past two decades, is there a logical reason to expect a vastly different outcome? An unchanged FAS only serves to maintain Singapore football as a socially non-inclusive sport. Singapore football needs someone, not necessarily a politician, able and willing to step up to the plate, making tough game-changing decisions, to stop the rot. But does our system encourage such a person to come forward?